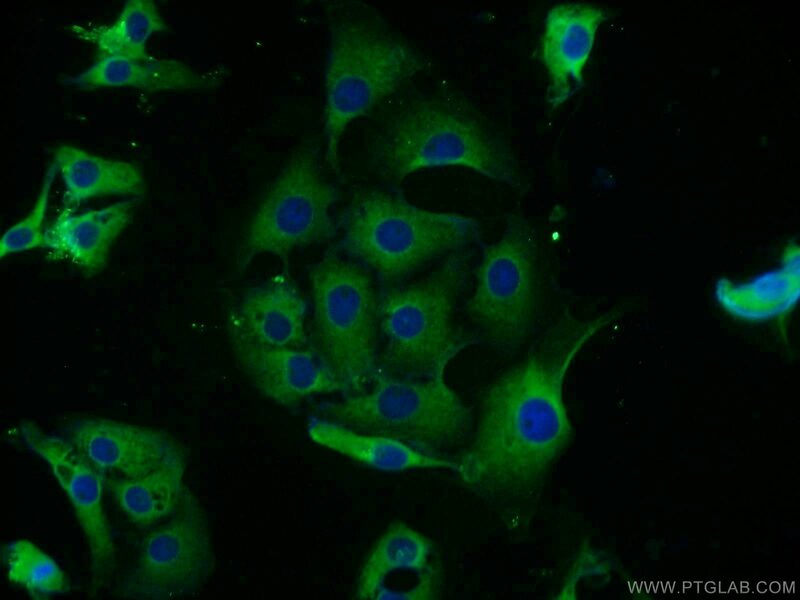 IP Result of anti-MEK2 (IP:11049-1-AP, 4ug; Detection:11049-1-AP 1:1000) with HL-60 cells lysate 1280ug. MEK2(MAPK/ERK kinase 2) is also named as MAP2K2, MKK2, PRKMK2 and Belongs to the MAP kinase kinase subfamily. MAPKK is itself dependent on Ser/Thr phosphorylation for activity catalyzed by MAP kinase kinase kinases (RAF or MEKK1). 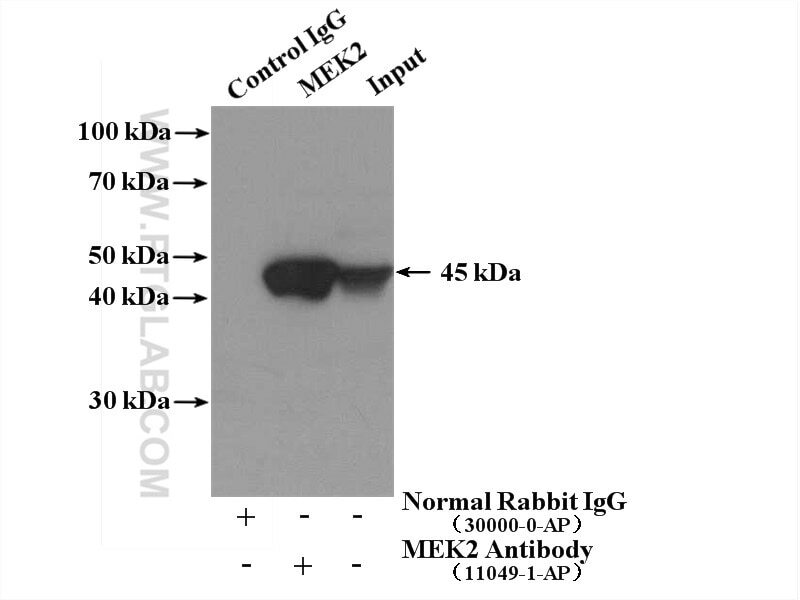 MEK1 and MEK2 are closely related, dual-specificity tyrosine/threonine protein kinases found in the Ras/Raf/MEK/ERK mitogen-activated protein kinase (MAPK) signaling pathway. 11049-1-AP can recognize both the MEK2 and MEK1. hsa-miR-96 up-regulates MAP4K1 and IRS1 and may function as a promising diagnostic marker in human bladder urothelial carcinomas. SOX9 was involved in TKIs resistance in renal cell carcinoma via Raf/MEK/ERK signaling pathway. The deubiquitinase USP21 stabilizes MEK2 to promote tumor growth.